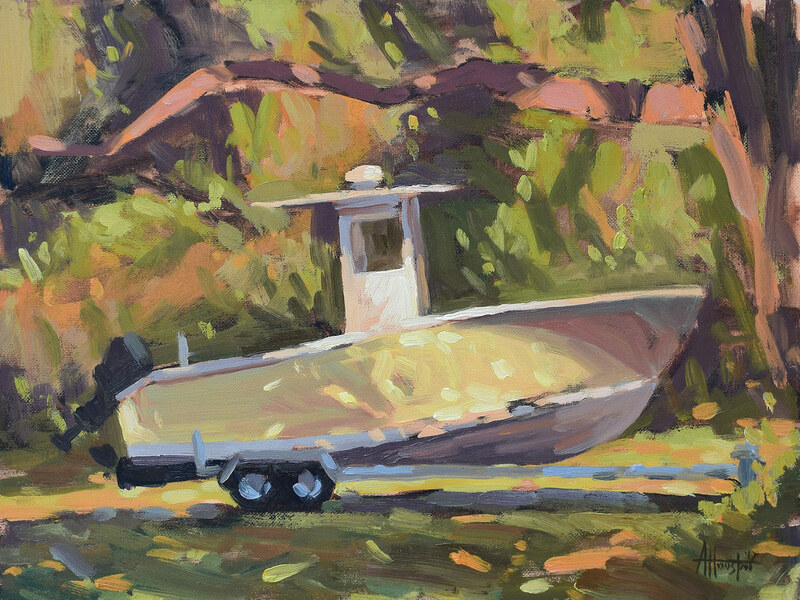 Oil on Canvas Panel|12" x 9"
Here’s a painting of a boat that’s out of water on St. Simons Island. In the Gascoigne Bluff area of the island there’s an spot that’s basically a parking lot where a number of boats are out of water and waiting to get back in. I painted this while visiting and finished it at our little rental house. The canopy of trees in this area makes for the most amazing light dapples, and it was almost dizzying to try and translate it into paint. The light moves around constantly, almost like an organic disco ball, and it was so fun to paint.